The best way to enjoy this major hub on the Volga River. 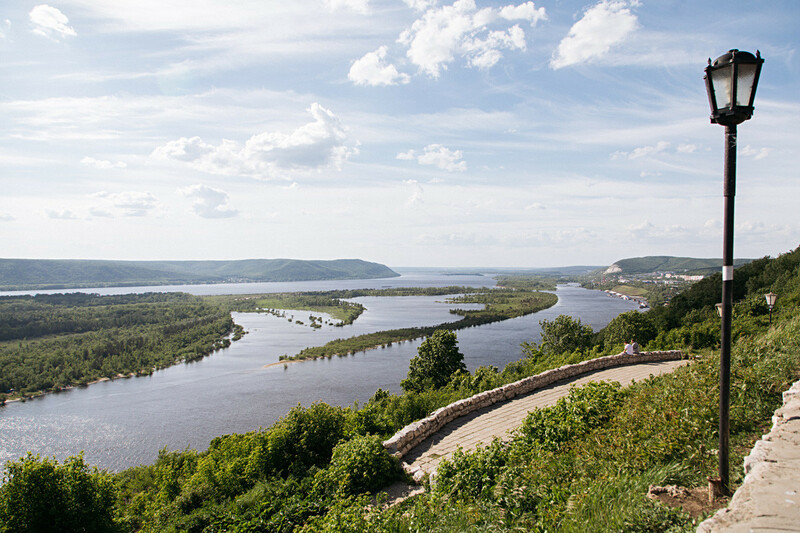 Located on the southern part of the Volga, about 1,000 km from Moscow, Samara eagerly awaits tourists and World Cup fans. No matter when you arrive, Samara will surprise you with its stunning river views and delicious food. Let the journey begin! 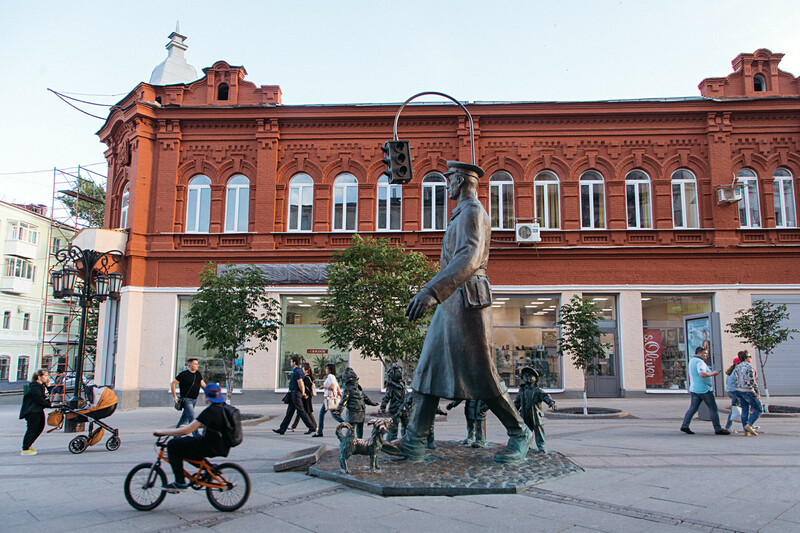 Start your friendship with the city by taking a stroll down Leningradskaya Street. At its highest point you’ll see the monument to the children’s fairytale hero policeman, Uncle Styepa. Here’s the best place to enjoy the morning and rest on one of the dozens of cozy benches. Hungry? Then go to Kuybusheva Street (it’s perpendicular to Leningradskaya), which has so many trendy restaurants and cafés that you’ll have to return and try them all. There’s Russian, German, and Georgian cuisine, as well as Italian, Japanese and American. Tip for the summer: Try the huge berry smoothie — all ingredients are fresh and local. In 1941, during the Great Patriotic War, many institutions were evacuated to Samara (at that time, the city was called “Kuybyshev” in honor of the Soviet official). Among these were the Bolshoi Theater and Mosfilm. Also, the city was considered a possible new capital for the USSR. 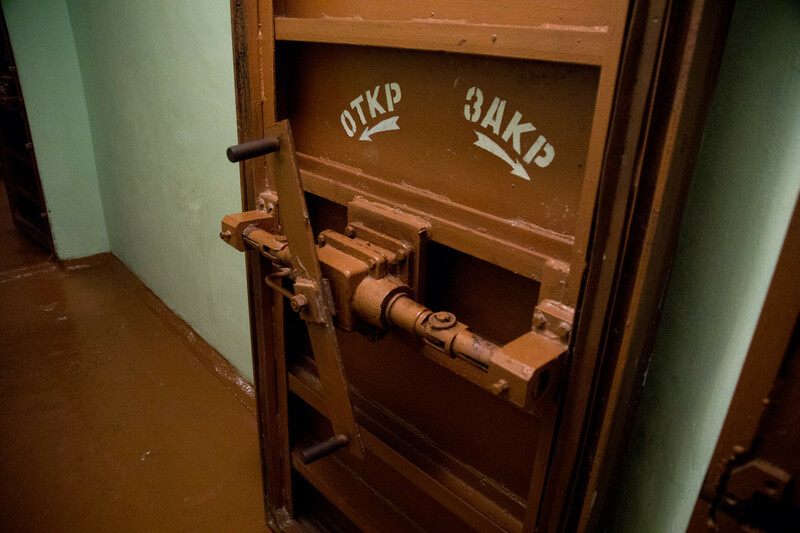 In 1942, Stalin’s bunker was built in the city center at a depth of 37 meters (12 floors down!). Architects copied the design of Aeroport metro station in Moscow, and a huge hole was dug in just nine months. Even more incredible, nobody knew about it until the 1990s when it was declassified, and the first tourists were allowed inside. 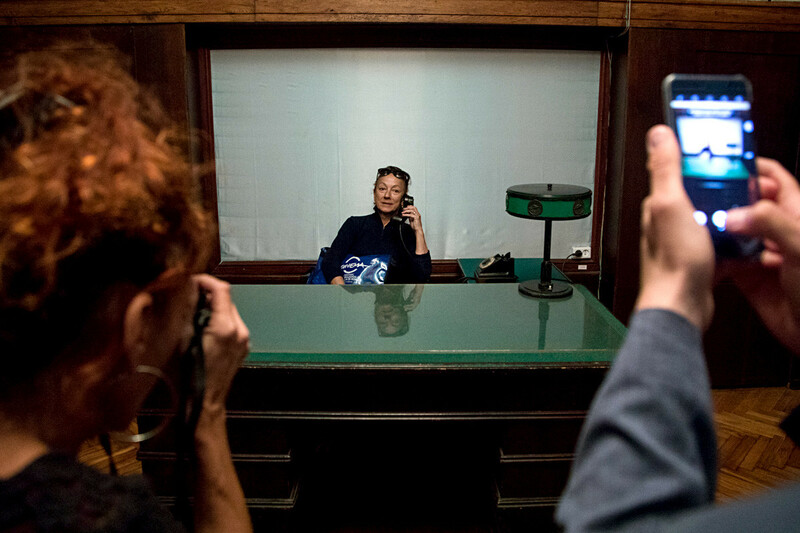 In 2017, the bunker of General Zhukov, which is located on the city outskirts, was also declassified. 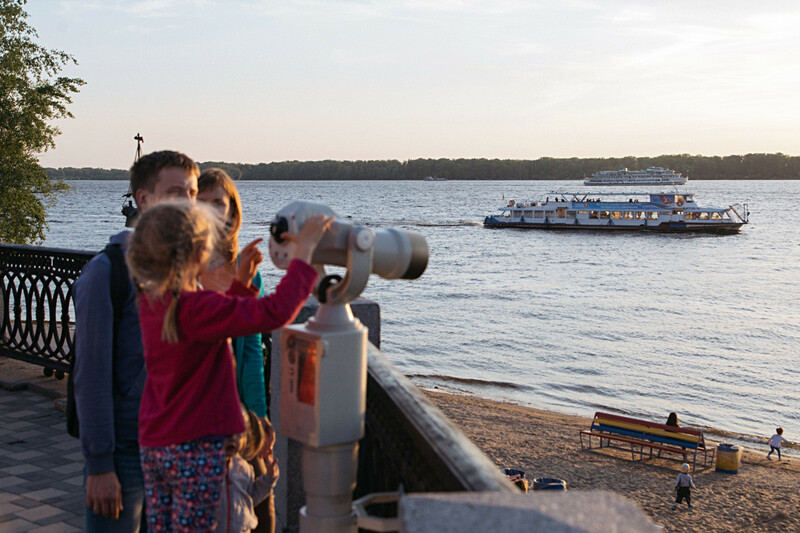 The helipad, or vertolyotka, is the best observation deck in the city, offering amazing views of the Volga River. Located far from the center, we bet this view will inspire you to climb the Zhiguli Mountains! Stretching for 3 miles, this is the longest embankment on the Volga, and you can spend the entire day here. Besides bike paths, cafés and recreation areas, there’s a clean and large sandy beach in the city center! Yes, you can swim in the Volga River, play volleyball and sunbath without leaving the city. 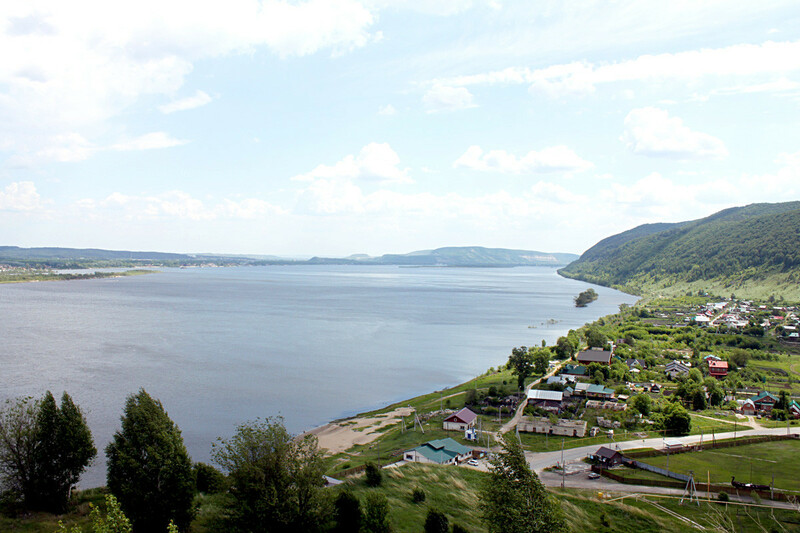 On the other side of the Volga you’ll spot hills covered by forests. These are the Zhiguli Mountains in the Samarskaya Luka National Park, which is huge and has many natural treasures. So, if you have only several hours free, take a boat trip to the nearest village, Shiryaevo, the place where Ilya Repin made sketches for his famous painting, Boatmen on the Volga. 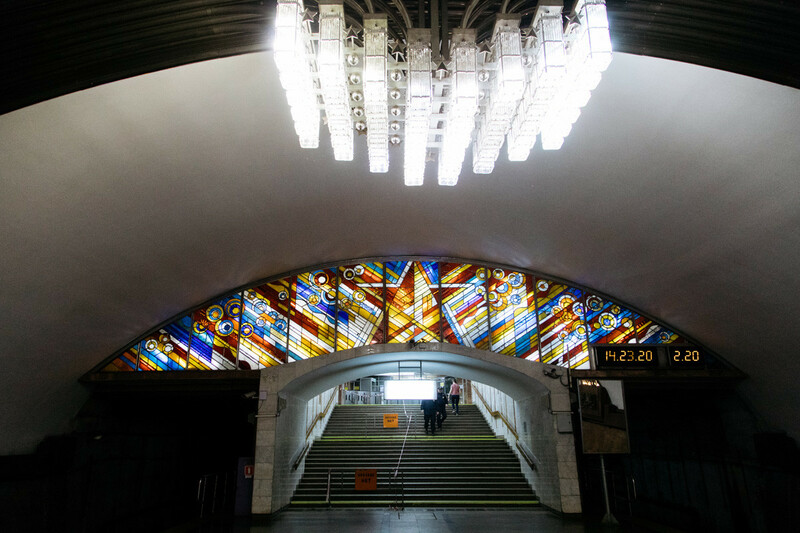 Besides Moscow and St. Petersburg, only seven Russian cities have metro systems, and most stations are masterpieces of art and architecture. 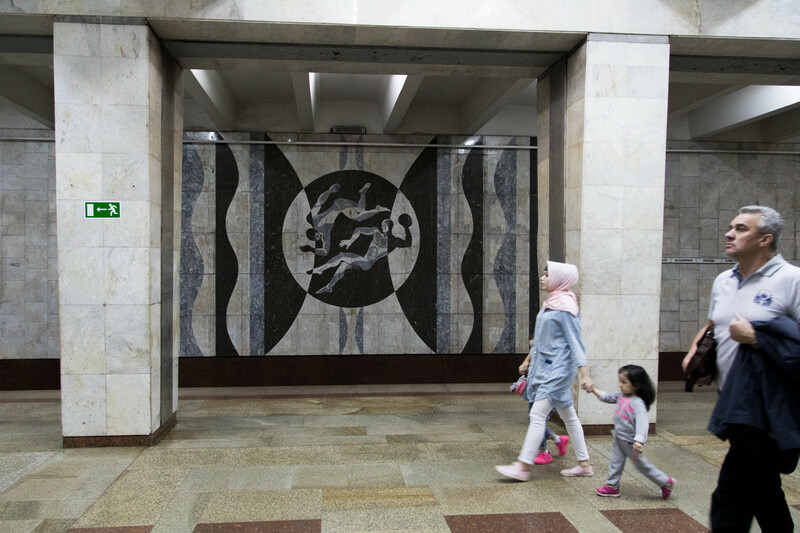 The Samara subway is young, opened in 1987, but no less beautiful. 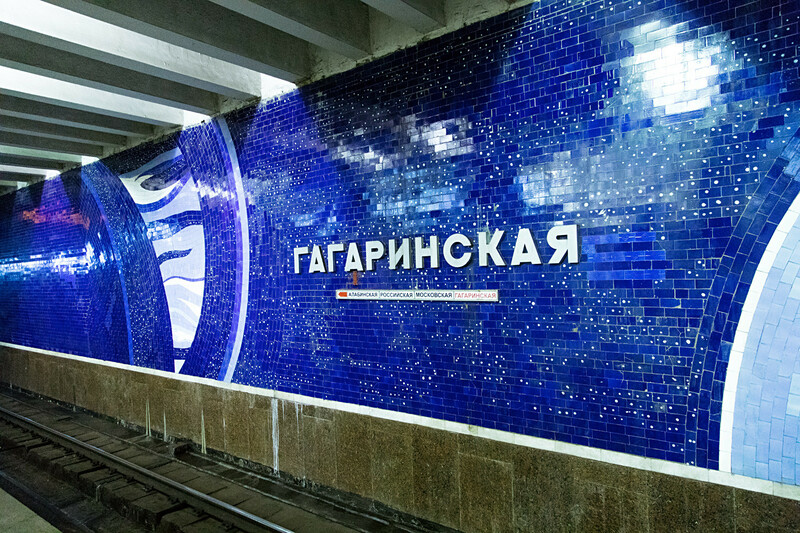 Among the most interesting stations are Gagarinskaya, named after cosmonaut, Yury Gagarin, and designed with a space theme: the dark blue mosaics on the wall depict a starry sky, while the columns are shaped like stars. Pobeda (Victory) station was designed in honor of the Soviet victory in World War II. Sportivnaya station is devoted to Russian achievements in sports. 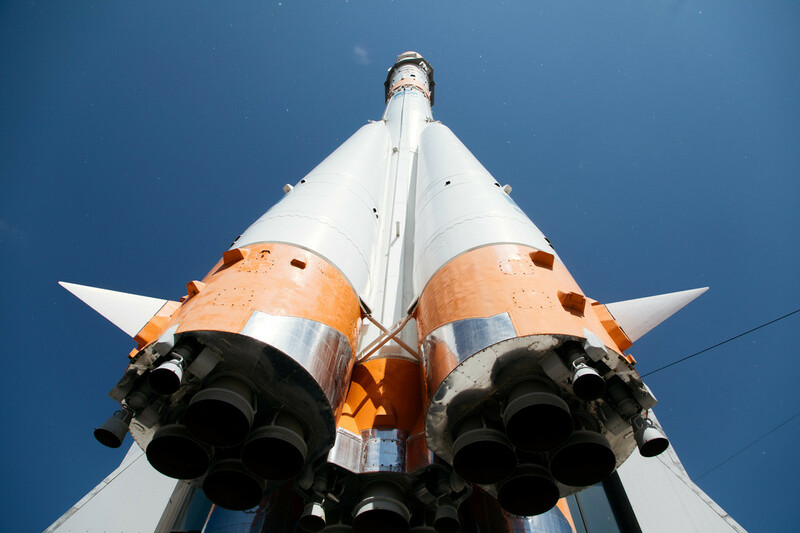 Do you know how a rocket booster looks like? Now you can see the real Russian R-7 rocket made at the Samara Progress Rocket Space Center in 1984. This monument was established in the city in 2001 to honor Gagarin’s spaceflight jubilee. In the early 19th century, State Councilor Nikolai Strukov built a mansion and garden, but after moving to another region, all his property was sold, and in the end, the garden was transferred to the city. 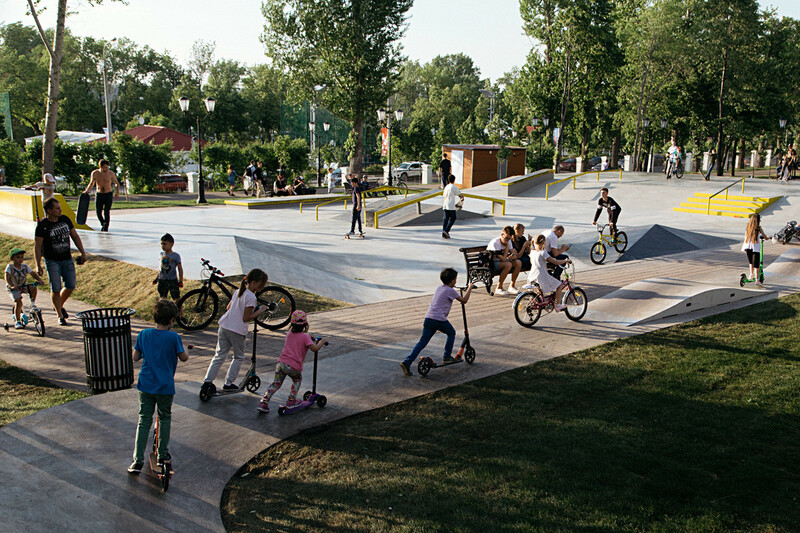 Since that time, the Strukovsky Garden is a favorite place for locals, who come here to play giant chess, ride skateboards and hide from the summer sun by the refreshing stone fountains. 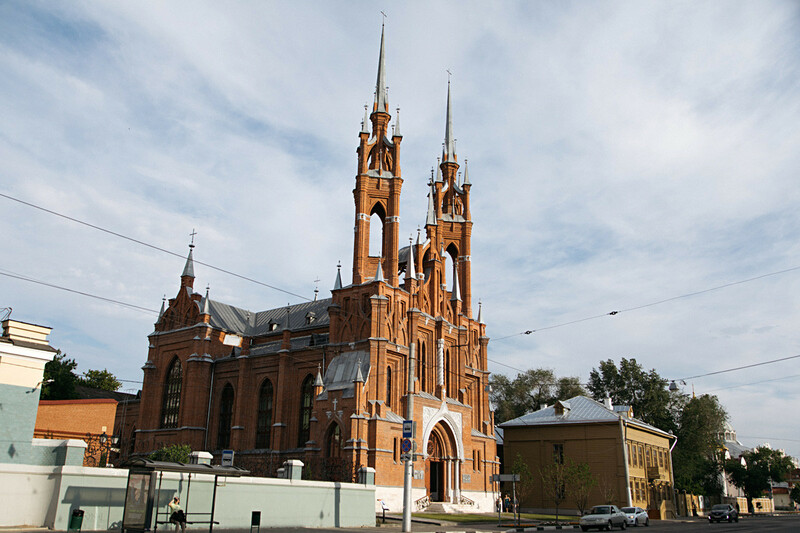 The Sacred Heart Church is located not far from the garden. 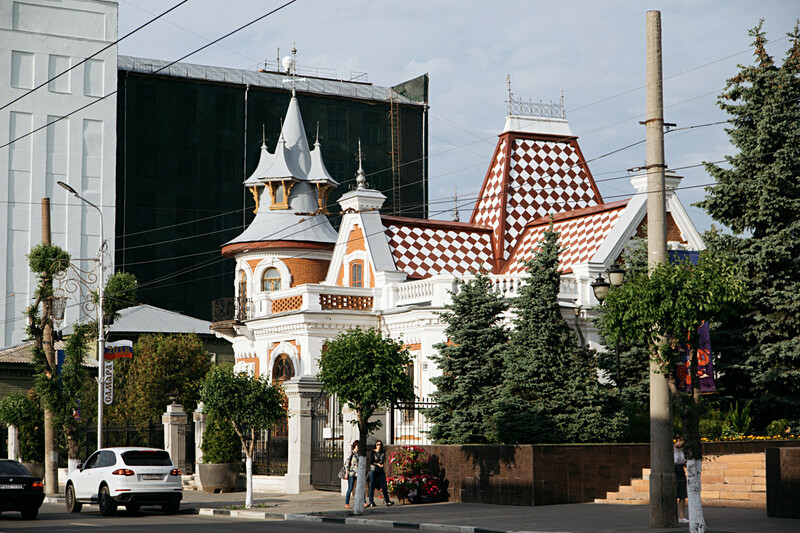 It’s not clear whether poet Alexander Pushkin was ever in Samara, but the square named after him is the best way to see the city. 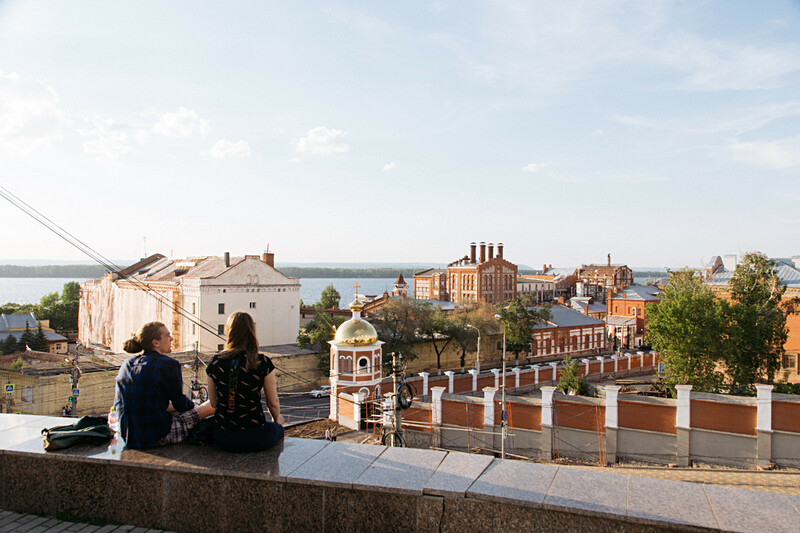 From this point you’ll see the Volga River, the beautiful churches and one of Russia’s oldest breweries, Zhiguli, built at the end of the 19th century by Austrian aristocrat, Alfred von Vacano. Will you try local beer when going to cheer for your team?